Aug 1 Join Us for The Better Mom Gathering this Fall!! I would absolutely LOVE for you to join us for our first TBM Gathering taking place November 18-19, 2016 in Ann Arbor, Michigan. This is your official invitation from me to join us this fall as we gather together as moms to learn, grow, and just have a LOT of fun! We will have special speakers you will just love, incredible worship and beautiful fellowship together. Seating for this gathering is intentionally very limited so you will want to register soon. Grab a friend or just come solo and join us!! We cannot wait to see you there! Every mom is an invaluable treasure of God meant to reflect His light and love to others. Ruth Schwenk is the founder of TheBetterMom.com, and along with her husband Patrick, FortheFamily.org. She is a pastor's wife, mom of four energetic kids, a lover of coffee and a dreamer of big dreams. Ruth is the co-author of Hoodwinked, Pressing Pause, and For Better or For Kids. A graduate of the Moody Bible Institute, Ruth and her husband have been in full-time ministry for over fifteen years. Karen Ehman of Proverbs 31 Ministries is a National speaker, blogger, and author of seven books including the NYT bestselling book and DVD Bible study, Keep it Shut. She is married to her college sweetheart and together they have raised three children. Her desire is to help women live their priorities and love their lives. Connect with Karen at KARENEHMAN.COM. 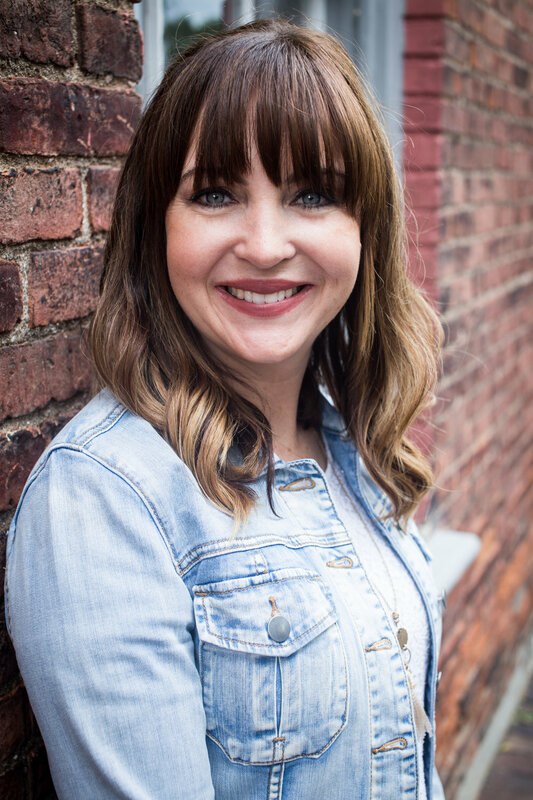 Jeannie Cunnion is the author of Parenting the Wholehearted Child and her passion is encouraging moms to shed perfection and live in the very real freedom of God's unwavering love. She enjoys leading parenting groups and Bible studies when she isn't cheering on her three boys at one of their sporting events alongside her husband, Mike. Connect with Jeannie at JEANNIECUNNION.COM. Sandra Maddox is an outspoken advocate for Christian motherhood, a speaker, ministry leader, mentor, teacher, children's book author and accomplished interior designer. She directs Treasured, a ministry for young mothers at Saddleback Church in Southern California. Her heart's passion is to encourage, train, and inspire moms to use their homes as places of ministry, where each can uniquely express the love and reality of Christ in her marriage, in her motherhood and as a woman of God. You can find her at THEARTOFDOMESTICITY.COM. Patrick Schwenk is a father, husband, and pastor of Refuge Church in Ann Arbor, Michigan. He is the author of The Dig for Kids, The Warrior Weekend, and along with his wife, For Better or For Kids: A Vow to Love Your Spouse with Kids in the House. Patrick and his wife Ruth are the founders of For the Family. They met while attending the Moody Bible Institute in Chicago, IL, have been married almost 18 years and currently have four children ages seven to fourteen. They love serving in ministry, spending time together as a family, reading, drinking lots of coffee, and resting in God’s grace. Clare Smith lives with her husband and 2 children in Northeast Ohio. She has her bachelor's degree in business management and left a promising career to be a stay-at-home mom to her children. She is a certified fitness instructor and teaches pilates and group fitness classes at her church and local university. Clare's passion (outside of raising and nurturing her children and home) is motivating women of all ages and stages of life to live well physically, emotionally and spiritually. Visit her at ClareSmith.me! Kathleen is the Worship Arts Pastor at Refuge Church. She has been involved in learning, playing and performing music for as long as she can remember. After following Christ in High School, she turned her love for music into worship. She is married to her husband Andy, and they have one child, Theodore. Besides music and leading worship, shelove students! Kathleen has been involved in student ministry for over ten years - investing in the lives of junior high, high school and young adults through the local church and Young Life. Oh, and one more thing...she has a deep affinity for Motown music, Disney World and ice cream. Event Coordinator Extraordinaire: Katina Miller has been married 14 years to her wonderful husband. Together they serve on their Marriage & Family Ministry team at their church. She is a busy mom of a Jr. High son and homeschools her daughter in their home in northeastern Ohio. She is also an Orthopoedic nurse at a local hospital. In her free time she enjoys doing simple DIY crafts and sharing them with others. If you have any questions in regards to The Better Mom Gathering please contact Katina at thebettermominfo@gmail.com.